A haven of history and art that is larger than life, Seville is sure to impress anyone who loves strolling amidst impressive structures from the past. And with the easy option of stepping right back into the present through its lively bars and vibrant festivals, it’s the best of both worlds. The capital of the autonomous community of Andalusia, Seville also happens to be the fourth-largest city in Spain. Thanks to the city’s grand structures, vast museums, annual festivals, and well-maintained parks and gardens, Seville also offers the perfect set-up for filmmakers and authors to feature and reference this place in their work. Alcázar of Seville, the city’s UNESCO-listed palace complex that was started out as a fort in 913. After multiple renovations over the last 11 centuries, this structure, which features Christian and Mudéjar architecture, also appeared in a little known television series called Game of Thrones. From an unassuming car park to a glorified sunshade, the Metropol Parasol is more than just a futuristic structure. It also offers a museum, a local market and café, a concert space, and a view that willtake your breath away. Museo de BellasArtes houses a vast collection of Spanish and Sevillan paintings and sculptures from the 15th to the 20th centuries displayed in chronological order along with masterpieces from the Golden Age. It’smust-visit for both art enthusiasts and novices. 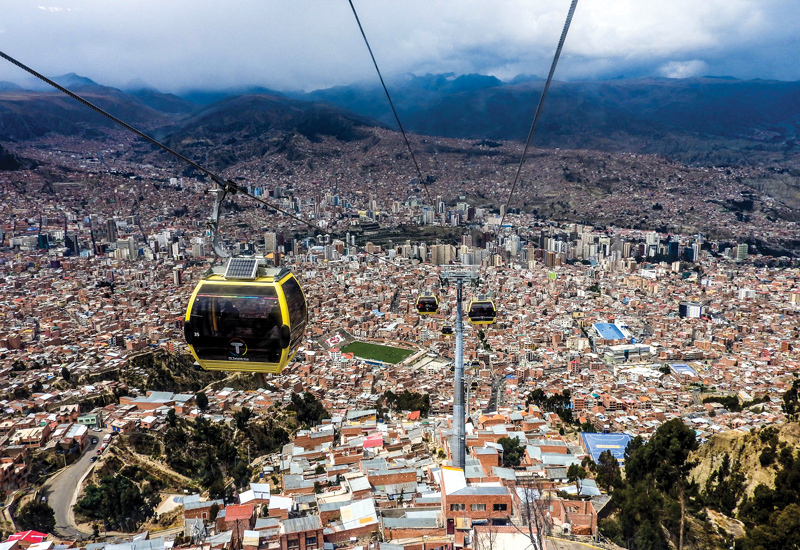 Nestled between the towering mountains of Altiplano, the city of La Paz, also known Nuestra Señora de La Paz (Our Lady of Peace), is situated in west-central Bolivia in a canyon created by the Choqueyapu River. Cobbled streets running between buildings, old and new, the structures here are set up in a step-like manner owing to the city’s interesting geography. Lively, busy, and colourful, the city offers a bit of everything, from interesting street vendors to a niche metropolitan area with a high-end cable car system that traverses the snow-capped mountains. Fundación Solón or the Solón Foundation is the beautiful result of the coming together of art and activism. It was founded by renowned artist Walter Solón Romero as an outlet to convey views, no matter how varied or rebellious, in a more creative manner. Mercado de Hechicería is a bustling market popular with tourists for its old folk remedies, among many other items, that offer an interesting glimpseinto the city’s culture. Calle Jaén Museums is a cluster of four small museums that showcase colonial art and household items, vintage pictures of the old city, and much more. A place of mystery, wonder, culture, and merriment, New Orleans is about much more than just Mardi Gras and jazz music. Apart from its gorgeous French and Spanish Creole architecture, the other thing that stands out aboutthis Louisiana city is its vibrant heritage that is cross-cultural and multilingual. A place that allows one to step right back in time, it’s the European factor in this American setting that leaves people in awe of the city. In addition, New Orleans is home to a diverse set of people and generations that date back centuries, and often it’s just their stories that make for a fascinating visit. Lafayette Cemetery No. 1 certainly offers a unique way to experience history. Built in 1833, it houses quite an interesting selection of crypts and tombs, each with a story of itsown. Clancy’s, a local restaurant exuding simple charm as well as style, is the place to visit for those wishing to familiarise themselves with Creole cuisine. Jackson Square might seem like madness at first. 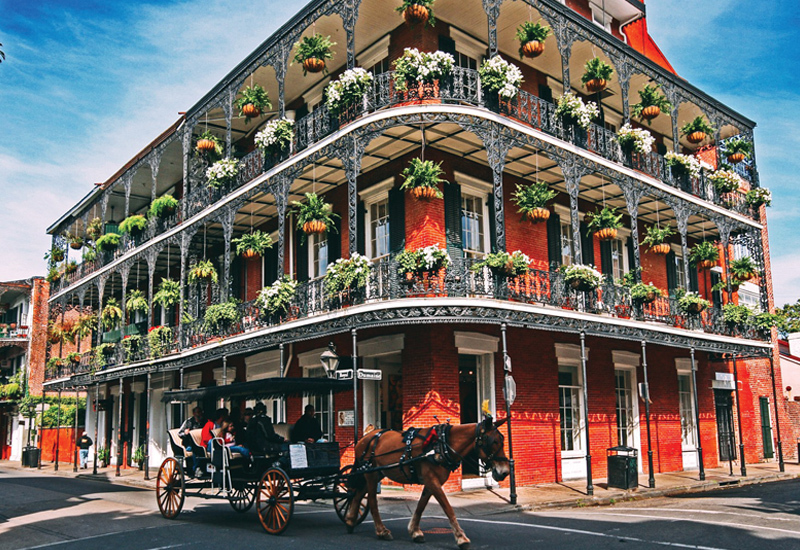 But once you take in each of its features – from the Cajun cuisine to eager fortune tellers, talented buskers and walls lined with beautiful artworks and– a stroll down these bustling streets is definitely worth it. 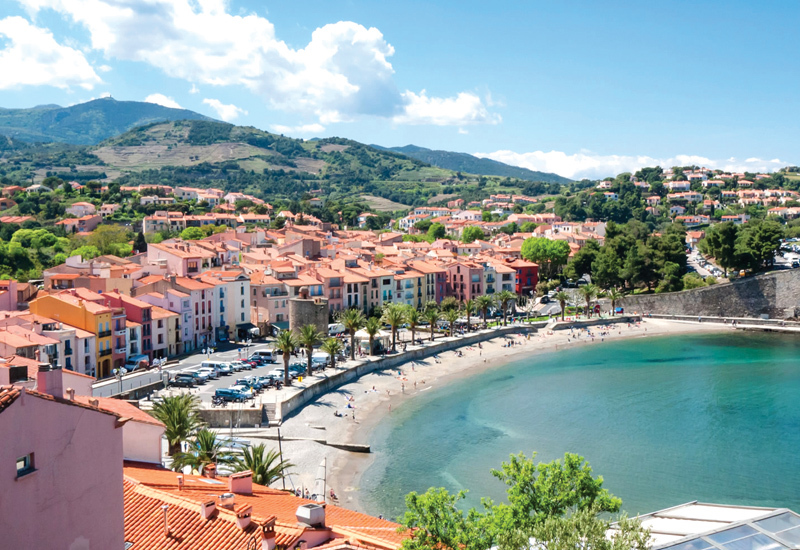 The province of Languedoc-Roussillon is the southernmost region of France, and was recently structured with five administrative regions or departments. Made up of different historical provinces, each of Languedoc-Roussillon’s three main areas are known for their unique sights and features. While one is filled with beaches and city life, the nextthrives in the lap of nature with its countryside vibe. The final section, with its Spanish borders and Catalonian ties, is all about folk dances, summer festivals, and rugby matches. Possibly the best-preserved amphitheatre in France, Les Arènes was built in 100 B.C.E. and is said to have had acapacity for 24,000 spectators during its many bullfights, gladiator matches, and public executions. An engineering wonder ahead of its time, the Pont Du Gard once transported water between the cities of Uzèsand Nîmes. It was strong enough to carry 20,000 cu metres of water every day. Today, it offers a great view of the Gard River. A biodiversity haven, the Parc National des Cévennes houses around 2,300 plant species and 2,410 animal species. Numerous animals that were believed to be extinct have been reintroduced here, either through natural migration or conservationists’ efforts. As we slowly step towardssummer and prepare ourselves mentally for the heat, adding this place as your next winter destination might offer some respite. Lech Zürsam Arlberg, or simply Lech, is a quaint little mountain village better known as a ski resort. It is located in the Bludenz district in the Austrian state of Vorarlberg, on the banks of the Lech River. A village that seems straight out of a snow globe, Lech is one of the foremost ski destinations in the world and home to numerous Olympic ski champions. Apart from Lech being one of the favourite winter destinations of Princess Diana, the Jordanian and Dutch royal families, and Monaco’s Princess Caroline, there are quite a few other attractions that are sure to make your stay here memorable. The Sonnenkopf – Klösterle resort is the place to hit the slopes for skiing, snowboarding, winter hiking or tobogganing. And don’t fret: It offers plenty of activities and guidance forbeginners. 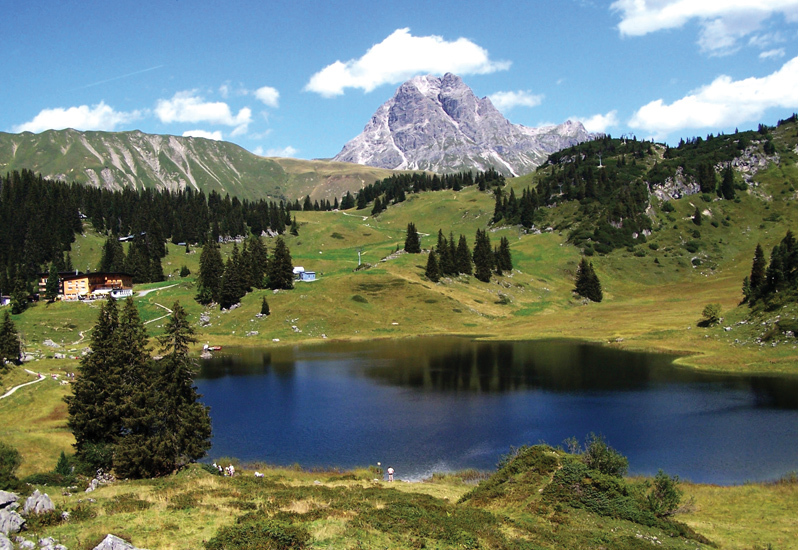 An activity that’s perfect for nature lovers, a hike to the gorgeous lake of Körbersee that lies within the Lechtaler Alps in Voralberg should not be missed. Get ready to encounter a crystal clear lake surrounded by towering green trees and snow-capped mountains in the background. Antony Gormley’s 2010 sculpture installation, Horizon Field, consisted of 100 life-sized cast iron statues of the human body erected 2,039 metres above sealevel in the Austrian Alps. They originally covered an area of 150 squarekilometres,though only a few remain today. Towers, tunnels, and old towns – these terms barely scratch the surface of the capital of Estonia. 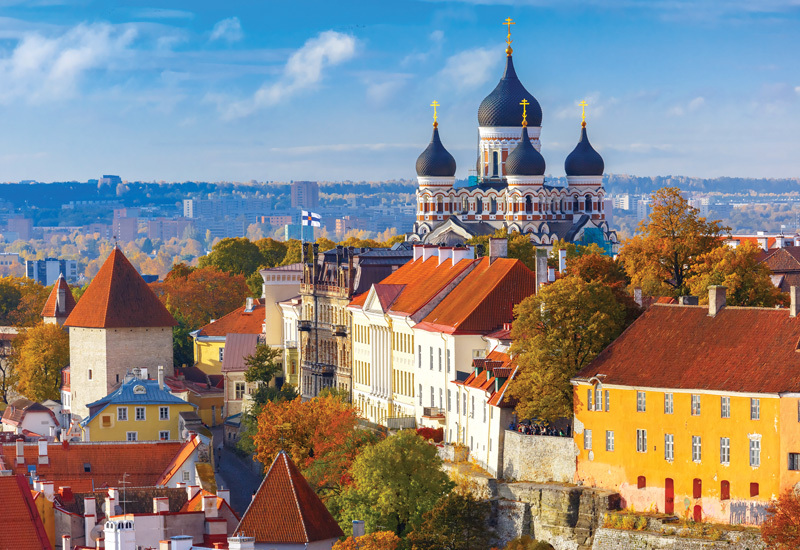 A perfect source of inspiration for a writer seeking to conjure up a fairy-tale town, Tallinn’s Old Town area or Vanalinn, is known for its colourful houses next to medieval structures surrounded by cobbled streets and guard towers. More than its rich European history, it’s the delicious cuisine and lovely culture that make it perfect for tourists. Once a defensive town, Tallinn is now home to more than 40 towers, each of them offering a stunning panoramic view of the town. Each of the towers’ individual histories make the long climb worth it! The town’s hidden tunnels or the Bastion Passages offer a unique historical trip. They were built by the Swedish in the 17th and 18th centuries, when they ruled Estonia, to transport supplies and troops to prepare for Russians’ attack. Over the years the passages were also used as a bomb shelter and place for the homeless during the city’s many turbulent years. For a trip back to medieval times, a visit to the Town Hall or Raekoda is a must. From displaying age-old costumes to hosting concerts, and even to functioning as a museum, this multi-functional structure is sure to impress. Secluded and serene, the Zanzibar Archipelago is located in Tanzania, East Africa, and consists of a number of small islands and two larger ones. 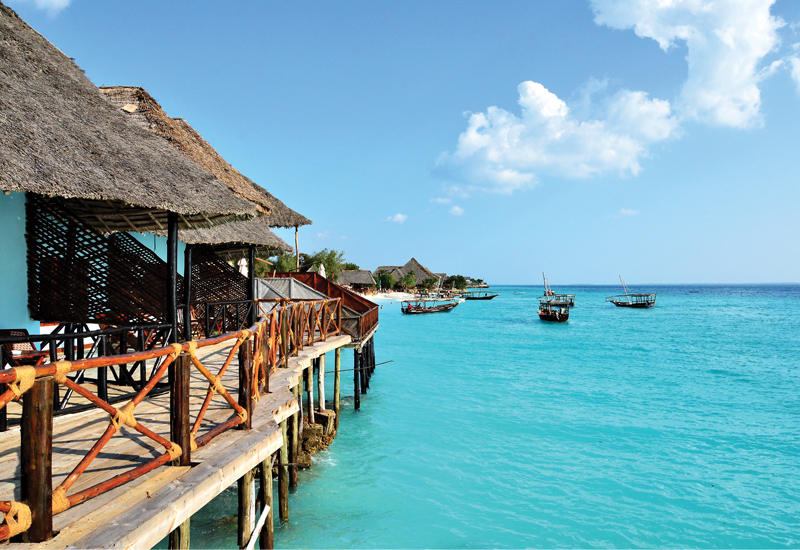 A place with a rather turbulent past in terms of foreign settlements, rebellions, and revolutions, Zanzibar has managed to retain its natural beauty. With white sand beaches to revel in one end, and lush fauna that dates back to the last Ice Age on the other, the island is also home to a range of interesting structures. The Old Fort or Arab Fort was built as a fortification in Stone Town, the capital of Zanzibar. Built by the Omanis in the 17th century to defend themselves from the Portuguese, today the fort functions as an amphitheatre, houses curio shops, and is the main venue for events like the Zanzibar International Film Festival. The Hamamni Persian Baths were built between 1870 and 1888, and remained functionaluntil 1920. They were built for Sultan Sayyid Barghash bin Said Al-Busaid by Shirazi architects, and offered luxurious amenities, including restaurants and both hot and cold baths for men and women. As a treat to your adventurous self, the Southeast Coast offers a chance to try your hand at surfing. Consistently high waves that are comfortable enough for beginners as well as experts, the warm waters here make for an unforgettable experience. Barely populated yet abundantly beautiful, the district of Lahaul-Spiti is famous for its high-altitude trek trails and Tibetan-influenced culture. Even getting to the place is quite a task, as the entrance pass to Spiti Valley from Lahaul is situated at an altitude of 4,551 metres at Kunzum Pass. Though the district might seem desolated in most places, it is this untouched characteristic of Lahaul-Spiti that motivates adventurers to brave the treacherous paths and weather. Tourists will find pockets of tiny houses amidst enormous snow-capped mountains sprinkled with wild flora and fauna, along with gorgeous temples and monasteries. It’s an unassuming little place that definitely deserves a visit. Located 3,984 metres above sea level and with an additional 300 metre high hillock, getting to the Dhankar Gompacan be dangerous due to inaccessible roads. While this makes the monastery one of the most endangered sites in the world, the view from there is absolutelyincredible. Strikingly blue, the frosty lake of Chandra Taal is known for frequently changing its shades. The drive up to the lake is spectacular. Fairly accessible by road, one can hike up the trail to the lake from the Kumzum La pass. 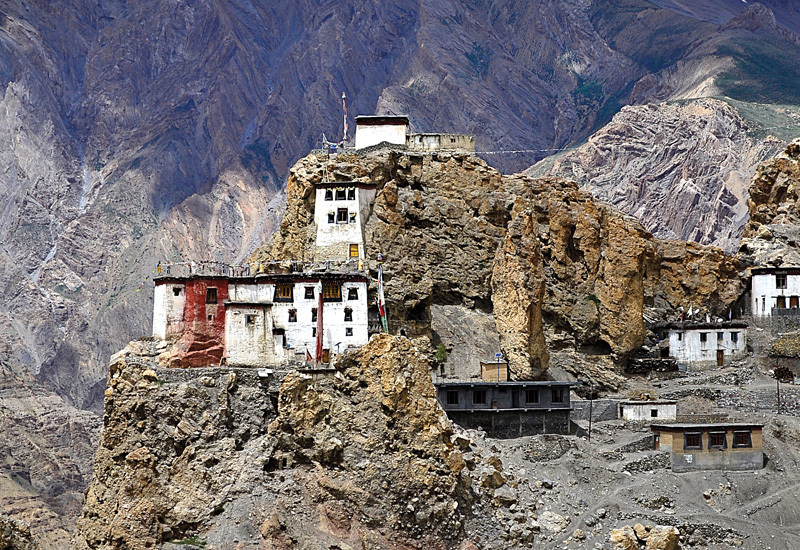 The district’s largest Buddhist monastery, Ki-Gompa stands tall atop a hill at an altitude of 4,166 metres. At this height, the views of the surrounding terrain aremagnificent. A thick temperate rainforest, the Kii Peninsula is the largest on the island of Honshu in Japan. 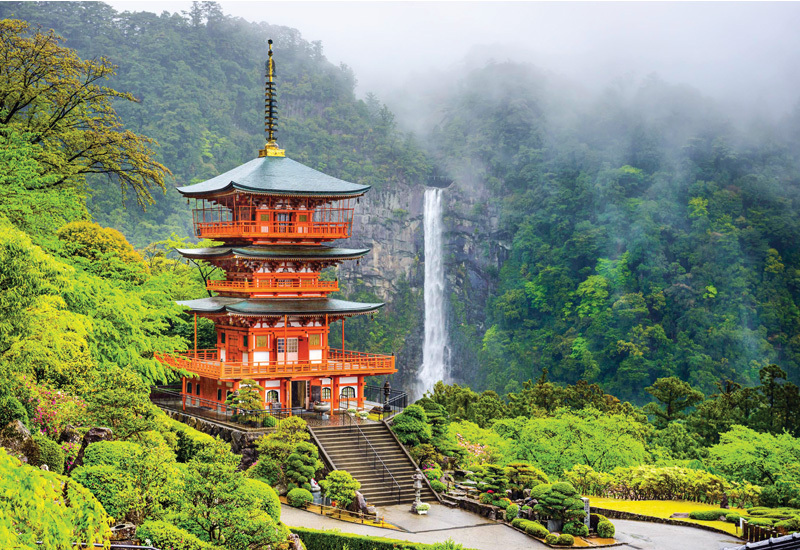 With lush green settings that include shrines, waterfalls, a number of sacred sites, and well preserved history, the Kii Peninsula offers a soothing and spiritual getaway. It is also the base for UNESCO World Heritage Sites of Koyasan, Kumano Sanzan, Yoshino-Omine, and Ise Grand Shrine, Japan’s most important shrine. Moreover, the peninsula also offers trips to the Yoshino-Kumano and Ise-Shima National Parks, guided tours of sacred sites, mountain trails, beaches, onsen (Japanese hot baths), and gorges. Located near the Nachi-no-taki waterfall, the Shinto shrine Nachi Taisha was built as an homage to the waterfall’s spirit guide (kami). The walk from the shrine to the falls isanultra-soothing experience. Okunoin, one of the more renowned and spiritual places in Kōya-san on the peninsula, was built as a memorial hall to Kōbō Daishi, a Japanese Buddhist monk, amidst a forested Buddhist cemetery. No matter how relaxing, sustenance is important, and the couple that runs the café Bononsha are of the same opinion. From organic meals to freshly-made chocolate cakes and tofu cheesecakes, this place deserves a long and scrumptious stop. 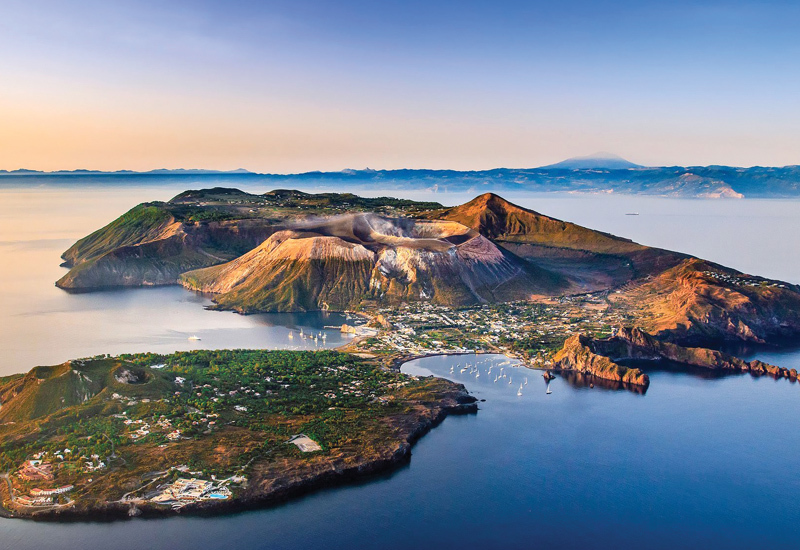 Named after the Greek demigod of winds, Aeolus, the Aeolian Islands are a volcanic archipelago situated in the Tyrrhenian Sea north of Sicily. From water sports to trekking along dormant and active volcanoes,to sipping on some signature Malvasia wine or just relaxing and taking in the islands’exquisite sights. The Aeolian Islands have also been listed as a World Heritage Site by UNESCO. The ‘Lighthouse of the Mediterranean’ or simple Stromboli’s volcano, erupts every night with lava, which streams down from the Sciaradel Fuoco in a fiery path right into the sea. One of the smaller islands, Panarea has hosted some well-known names such as Princess Alessandra Borghese, Uma Thurman, Giorgio Armani, and many others. This place is all about the luxurious hotels, yachts, and Grecian-inspired towns.